David Shepardson is a top producing San Francisco real estate professional. Since 1989, he has offered a highly informed insight into the City's prime residential neighborhoods. His perceptive service and proven marketing skills have awarded him the designation of International President's Elite, the top 1% of all Coldwell Banker agents. His substantial level of repeat and referral business demonstrates his favorable reputation in the industry and his commitment to client satisfaction. David is a San Francisco native from the neighborhood of Pacific Heights. He attended Bellarmine College Prep, Lowell High School, and Menlo College. 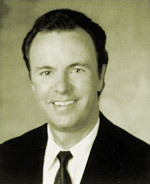 Prior to joining TRI Coldwell Banker in 1997, David was a sales leader at McGuire Real Estate. David's family heritage in San Francisco goes back three generations. He currently resides in Pacific Heights.